We want you to be Really Social. All of you. If it’s about social media, we’re all over it. Really drives at our authenticity in online engagement. We believe the truth and transparency are always our best tools if for no other reason than they’re the easiest to remember. We seek out clients and customers who wish to keep it real online, and we wouldn’t conduct our own social media engagement any other way. Social describes our expertise as well as our ability to connect with real people. We focus on staying at the very forefront of what’s new in the social media landscape. Additionally, we provide a personable conduit to share that knowledge with you. Instead of hiding behind a keyboard, we believe in reaching out and creating connections that last. Founded in 2015, Really Social may technically be a start-up, but our history in social media expertise and execution is well-established. We believe in helping good people do social media really well, and each new client and customer served brings us one post closer to our mission. While Rachel Moore has a flair for the dramatic, she has never been one to live behind a facade. From the moment you meet her, Rachel can promise you an experience grounded in transparency and lively with humor. Her 40+ years of life gift her with the ability to laugh and to help others enjoy the moment. She uses her eye for detail and focus on the big picture to bring success to anything before her, including work for Really Social clients. 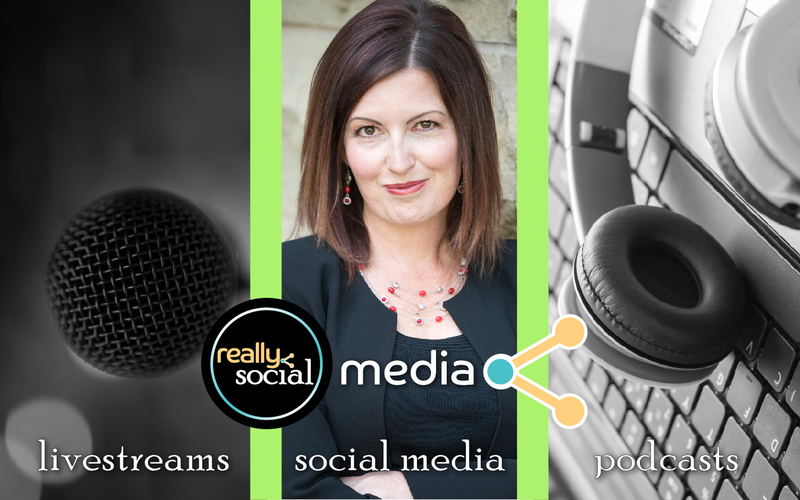 Through over 20 years in corporate America, Rachel discovered her calling and career in the world of social media. The combination of technology, creativity, and communication was irresistible, and the draw to keep learning and engaging online renews with each morning. Rachel uses her experience in project management, office administration, marketing, graphic design, writing, and personable engagement to meet goals and make results happen. Once you’ve chatted with Rachel, you won’t be surprised to learn she spent several years in community and musical theater. When she wasn’t rehearsing dance steps and harmonies for shows like A Little Night Music and The Taffetas, Rachel volunteered her time as a youth leader for junior and senior high school students throughout the 1990s and early 2000s. Her steps collided with a fellow youth leader, who happened to have pink hair and the same Muppet Show ringtone, who eventually became her husband and the father of her two children. Rachel’s personal time (in short supply as an entrepreneur!) is spent cycling in the mornings, reminding her kids that cursive homework isn’t forever, testing out new breweries throughout Colorado with her husband, and working in time with loved ones. She lives and dies by the Google calendar, and her ongoing quest is to use a mobile device with battery life capable of accommodating over 400 mobile apps. Connect with Rachel on Snapchat, Twitter, Facebook, & email.